It is with great trepidation I write the words “My Disease, Cancer.” Cancer is not “my disease,” and I don’t want to claim it as such! Since the 1970’s, I’ve viewed our Earth as a “Giant School,” to which we have all come in order to learn, grow, and evolve. The way we do this learning is by having experiences. As I’ve taught myself and my psychotherapy clients, this means that every experience is an opportunity for us to grow. Therefore, the cancer diagnosis I received was an opportunity for my growth and evolution. I wanted to seize that opportunity, do the learning, and move on to the next opportunity. I did not want to stay long with the same lesson. Instead, I wanted to learn, grow, and go on. The diagnosis of breast cancer came about a year after my husband, Bob, died from complications of prostate cancer. In 2005, my sister died in our home, of ovarian cancer. My father died in 1990 of colon cancer, my grandmother in 1954 of stomach cancer. We helped Bob’s ex-wife as she died of pancreatic cancer in 2000. Cancer has been part of my life experience. All of this is enough to really scare me when I’m given my own diagnosis! Fortunately, when I turned 50 in 1992, I decided to see if I could help myself with the life-long fear with which I had struggled. I created a way of dealing with the fear that, over time, has brought me to what I call “Fear-less Living.” (My passion is emotional mastery. Visit www.emotionalmasteryforlife.com ) Each year, starting in 1992, I noticed fear vacating the premises of my life, disappearing daily. I still expected that situations of physical danger would bring fear to the forefront. But in 2014, I discovered fear was gone from there, too. My sister invited me to come on a Caribbean cruise with her. I decided that would be a great time to explore some of the items on my bucket list. On that trip, age 72, I swam with dolphins in Cancun, zip-lined over the jungle in Belize, and swam in the ocean with a Jaguar in Honduras. I expected to feel fear, but I felt not a single second of it! And the same thing happened when I was given the diagnosis of cancer: no fear! It helped that the cancer was small, very slow-growing, and histologically manageable. If I was going to be diagnosed with cancer, this was the best possible diagnosis to receive. The no-fear experience lasted through the entire year, during which I dealt with cancer in my body. As an “Alternative Medicine Person” (who was married to a neurosurgeon! ), I had been healing myself alternatively throughout my adult years. For example, I had healed urinary tract infections, gave birth at home with the aid of a midwife, healed many cases of the flu and colds, and did not take antibiotics for 37 years. Cancer appeared in my body to teach me something; I was excited to experiment with actually healing the cancer, instead of having surgery, radiation, hormones, or chemotherapy. When asked, the diagnosing surgeon said I would not put myself in serious danger if I limited my experiment to a year. He also asked me to check in with him quarterly, which I could not do! I was scheduled to drive off into the sunset in my RV in 60 days. He agreed to allow me to consult other physicians along my way, giving me a referral to Dr. Shelley Hwang, head of Breast Oncology Surgery at Duke Medical Center in North Carolina. My first stop was in NC, where my grandson was graduating from high school with high honors. Dr. Hwang was supportive, a clear communicator, and fully committed to partnering with me. I informed her of what I was doing. Based on my research, I ate a totally raw diet, described in We Want to Live by Aajonus Vonderplanitz. It was a fascinating challenge to find what I needed as I traveled across the US and into Canada. I began a (nearly) daily practice of the Chinese Energy Medicine practice, Qigong. In addition, I used essential oils, raspberry and turmeric capsules, and took long, hot baths. 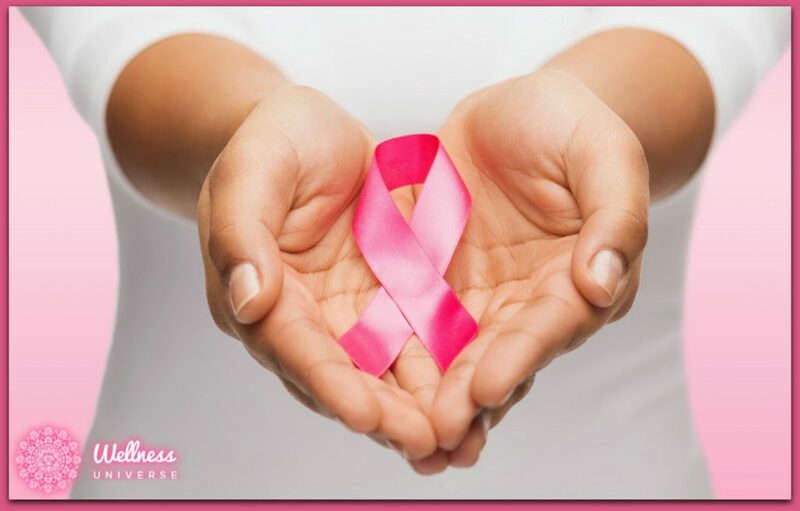 At my first quarterly check, I was encouraged: the tumor had shrunk a small amount! I felt congruent and whole in what I was doing. My six children (2 birth, one adopted, three-step) were not at all happy with my choices! The most difficult aspect of working with the cancer was dealing with my family members who, as soon as the diagnosis was made, advocated immediate standard cancer treatment and were not supportive of my experiment. Eventually, I decided to stop keeping my children abreast of my experiment with the cancer, sharing what I was learning, or giving test results unless directly asked. I believe we each create our own emotional environment, based upon our beliefs and where we choose to focus. Even though I knew I had told my children what I planned to do and had not asked for their permission, many still hold me responsible for the upset they were experiencing. I chose to allow them responsibility for their own emotional reactions. At the end of the year, the tumor had neither disappeared, nor had it grown. According to my promise, Dr. Hwang operated and removed it. No fear. No pain. Easy and fast recovery! I had “coped” with “my disease” by learning from it. It had repaid me by remaining contained, leaving with dispatch, and offering me a year of learning, as well as, giving me a more healthy, slender body! Stay tuned for part 2 of my story next week, where I will explain how cancer has been a teacher in my life.